The Diels-Alder reaction converts a diene and an alkene (usually electron-poor, called a “dienophile”) into a six-membered ring containing an alkene (cyclohexene). In the Diels-Alder reaction, the atoms at the ends of diene add to the alkene double bond, thereby closing a ring. Because these new bonds form simultaneously ring formation involves no intermediate. This reaction is called [4+2] cycloaddition because reaction takes place between four conjugated atoms containing four π electron react with a double bound containing two π electrons. The Diels-Alder reaction forms new carbon-carbon bonds, so it can be used to synthesize larger, more complex molecules from smaller ones. The Diels-Alder reaction takes place in one step where three π bonds break, and two σ bonds and one π bonds form. 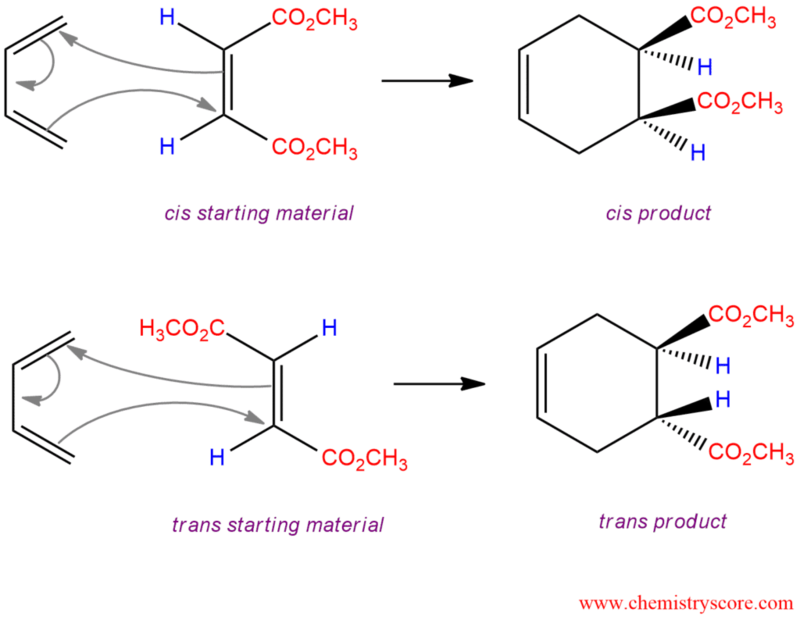 Reactions in which bond breaking happens at the same time as bond making are concerted. As a consequence of the concerted mechanism, this reaction is stereospecific. 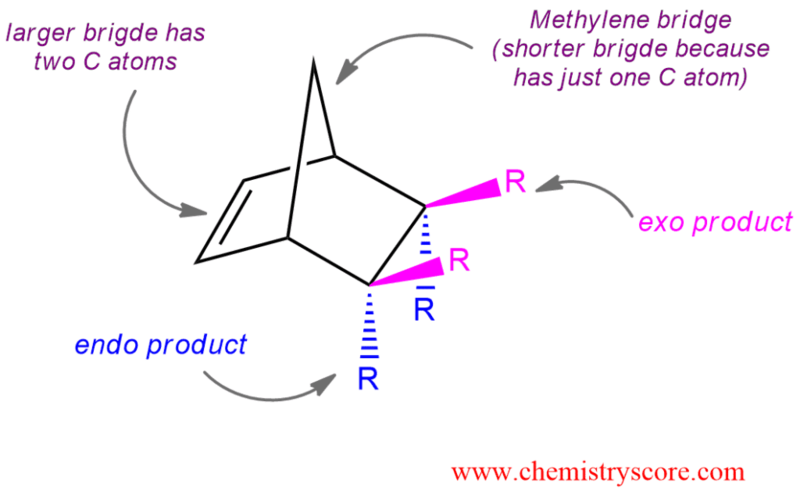 This means that dienes and alkenes retain their configuration after the reaction. The Diels-Alder reaction is not only stereospecific in respect to the stereochemistry of double bonds but also respect to substituents of diene and dienophile which would mean we can get two products. One in which the two R group substituents on the bicyclic frame are on the same side (cis) as the methylene (shorter) bridge – this is the exo product. And the second in which these substituents are on the opposite (trans) from the methylene bridge – this is endo product. The Diels-Alder reaction prefers endo product.